The Schlage MultiPoint Lock (MPL) solution is specifically designed for use in areas affected by severe weather like tornadoes and hurricanes as well as high security applications. 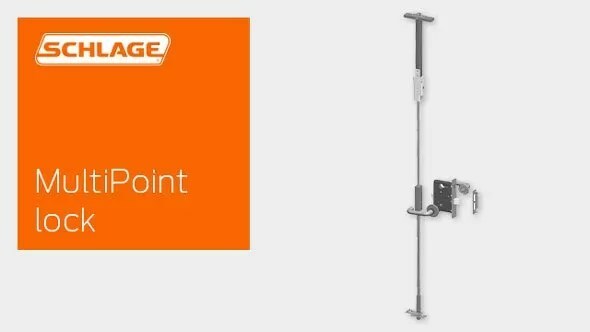 The MultiPoint Lock engages with the frame of the opening at three points – top, bottom, and traditional latch location on the side – resulting in an assembly that is exceptionally strong and can withstand tremendous abuse. The MultiPoint Lock utilizes a patent-pending mortise lock that interfaces to a pair of vertical rods contained within the door. Rotating the handle retracts all three latches; closes the door automatically engages all three latches and immediately secures the door. From a user’s perspective, operation is identical to a standard door. The complete MultiPoint assemblies are available for Tornado, Tornado Shutter, Hurricane, and High Security configurations and meet the stringent testing standards for differing code and specification requirements. All tornado solutions meet FEMA 320/361 guidelines and are tested to the most stringent standards for the most powerful EF5 tornadoes, providing protection from wind speeds up to 250 mph and 15 pound projectile impacts at 100 mph. 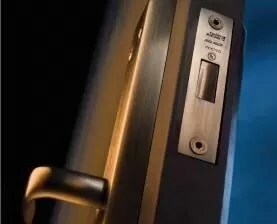 Because of the extreme requirements, tornado solutions are tested as complete assemblies including the MultiPoint Lock with a Steelcraft Paladin door. This solution is ideally suited for classrooms, storerooms, community rooms, or dedicated storm shelters. The MultiPoint Lock is available in a shutter configuration for securing windows during a tornado. Identical in design and performance to the shelter version, the storm shutter utilizes a 4-sided frame that mounts against a window from the inside of the shelter to secure the occupants from flying glass and debris. MultiPoint Lock – Hurricane COMING SOON! 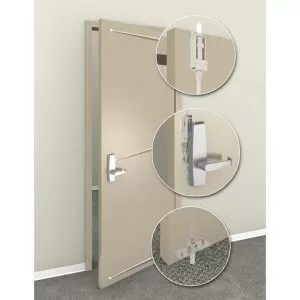 When paired with a Steelcraft Hurricane door, the MultiPoint Lock meets the Florida Building Code Enhanced Hurricane Protection Area (EHPA) standard, withstanding 240 mph sustained winds and 9 pound projectile impacts at 55 mph, thus providing the maximum amount of protection during a hurricane. 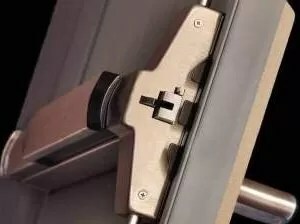 The additional strength and abuse tolerance of the MultiPoint Lock can be used to protect high security applications where a single latch or latch and deadbolt are insufficient. With all the same L-Series trim and lever options, the MultiPoint Lock seamlessly fits into the building while adding greater security. For information on functions, finishes, features and how to order please download the individual data sheets for the desired MultiPoint Lock solution. The Windstorm Solutions Brochure also contains more details on the codes and regulations that affect buildings in territories around the United States as well what product solutions are available to fit those specific requirements.